Our program offers a relaxed and casual setting geared to the needs and interests of each child who is a part of our program. We provide children with high-quality, fun experiences that will inspire each child to grow to his or her potential. We embrace individual differences and special abilities, as well as numerous family cultural patterns. Each of our five classrooms display a warm and brightly colored environment with lofts and child-sized furniture. Our outdoor area includes two playgrounds, a walking path, and nearby parks for children to enjoy. Age-appropriate field trips are offered for children, 3-5 years, as well as access to our zero-depth indoor pool. Our qualified staff are sensitive and flexible to meet the physical and emotional needs of the children as well as their parents. Our staff work as a team to develop, lead, and organize activities. 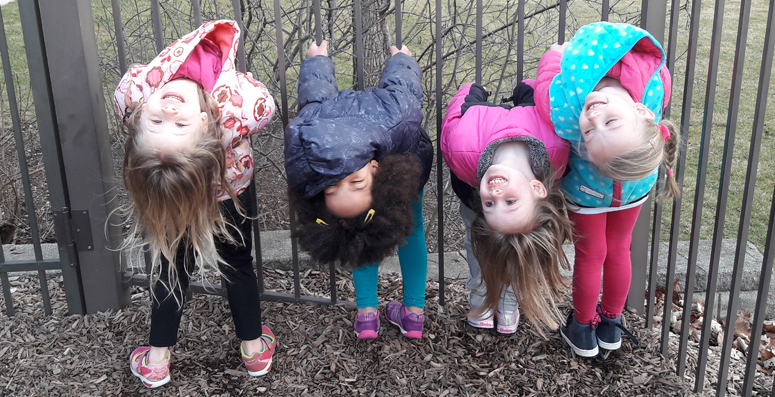 Little Learners Childcare is licensed by the Department of Children and Family Services and based on compliance with their licensing standards, the Illinois Child Care Act, and by recommendation from the Lake County Health Department, State Fire Marshall, and the local Fire Department. Childcare is available on a weekly basis for all children between 6 weeks and 5 years of age. Children, ages 2 – 5, have the option of a daily rate and multiple days per week. Payment is made weekly through automatic withdrawal from a credit or debit card. A $75 registration deposit will be applied to your first week tuition. Fees are effective September 3, 2018. A 10% discount is available for families with multiple children enrolled in our full week Little Learners Childcare Program. This discount will be deducted from the older child’s tuition. SWIM LESSONS are offered for children, 3-5 years old in the Lakeview Fitness pool during their normal day in childcare. Click on the code for direct registration. Little Learners is a full day childcare for children 6 weeks to five years old. Location: Little Learners Childcare is located within Lakeview Fitness in a secure wing.